Steemit + BittrexsteemCreated with Sketch. 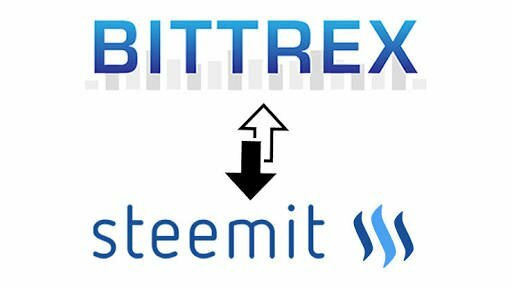 Bittrex.com is a popular crypto exchange for many altcoins and is also one of the few places where STEEM and Steem Dollars or SBD is being actively traded at the moment. By purchasing and transferring any of these two tokens to your steemit.com wallet you are able to convert them to STEEM POWER and by doing this to further increasing your influence on the website as well as earning more for your actions. Do note that while Steem Dollars are cheaper the conversion from SBD to STEEM is not 1:1, but is more like 1:4, so essentially it is not cheaper to upgrade your STEEM POWER by purchasing them. Furthermore when you decide to transfer Steem Dollars to STEEM you will have to wait 1 week for the process to take place while STEEM can be immediately turned to STEEM POWER. Once you purchase some STEEM or SBD from Bittrex you need to go to Wallets and click on the blue MINUS icon on the left side of your STEEM Balance. You will see a window with 3 different fields – Memo, Registered Acct and Quantity. These you need to fill in with the required information in order to successfully transfer the STEEM coins to your steemit.com account and wallet.